BAKU restaurant is located in the heart of the Southpark area in Charlotte. 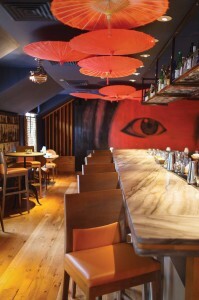 The Japanese cuisine is prepared in the open kitchen on Robata and Yakitori grills. The sushi and sashimi are of the highest quality and are served in exquisite plate presentations. The restaurant has an extensive array of premium sakes, in addition to cocktails, the wine list were all hand selected by our sommelier – to pair perfectly with the cuisine. 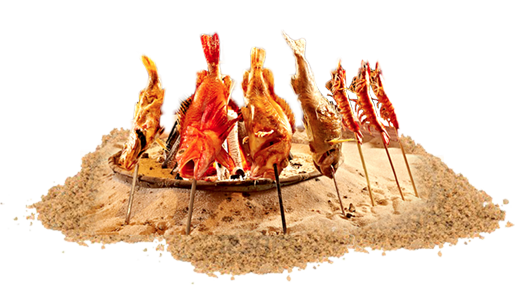 Robata means “around the fire.” It is the signature cooking at the restaurant and is executed on grills originally designed centuries ago that burn specially sourced charcoal at over 800 degrees that give the food an appealing smoky flavor. The cuisine is clean and simple with the complexity highlighted in the technique and plate presentation. The Yakitori aspect of BAKU gives guests a wide array of skewered meats and ingredients, all grilled on a grill constructed just for this type of preparation. While the cuisine is authentic, it is not traditional, thus allowing the chefs to add their culinary interpretations and spotlight local Carolina growers and producers. The shared and passed plate aspect of the menu is a concept that originates from Eastern culture, which includes the firm sense of hospitality that is evident at BAKU!